Keep your feet on the ground and launch into space every issue. Who can resist fun facts and adorable animals? 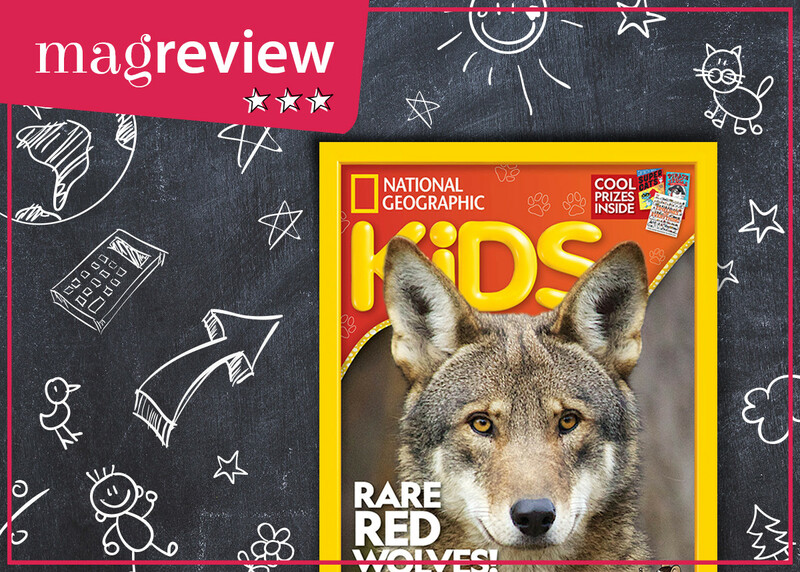 National Geographic Kids is a cornucopia for curious kids (and any adult who thinks that they know it all). It’s our world with a kid’s spin. Think science via slime (bioluminescent bloom), fleas and banana skins. Animal lovers have pages of pics from cute to crazy, complete with all you need to know about these feathered and furry friends. There are full page posters, planets aplenty, puzzles, geography and experiments you can do at home. National Geographic Kids proudly declares itself as a junior zone. With big bright fonts, loads of photos and the occasional glimmer of glitter, they’re speaking the same language. Numbered flow charts, clear breakouts and bolded key words, make it easy for kids to follow the facts. The mag also showcases readers’ stories, reports and pictures. And if there’s just a little bit too much fun for your liking, rest assured that literacy and learning are covertly covered. Research shows that children are still going to have better reading outcomes with the tactile sensations of a magazine than they will with any screen. Resistant readers are no match for the weird and wonderful of our world. Magfactor of nine far out/far-flung/distant planets for the new worlds you’ll discover.